Have you found the Chrysler, Dodge, Jeep, or Ram vehicle of your dreams in the McFadden’s Friendly Motors new inventory? Then let our experienced team of finance specialists assist you in getting behind the wheel. Feel free to give our team a call at (877) 589-6292 or contact us online if you have any questions about the leasing or financing process. Now that you’ve found the Chrysler, Dodge, Jeep, or Ram that you love, it’s time to calculate your payment. Our payment calculator will assist you in determining what your monthly payment will be. Simply enter all of your information into each prompted field and in seconds you will be provided with your payment plan. If you have a vehicle you’d like to trade in to McFadden’s Friendly Motors for a better price on the Chrysler, Dodge, Jeep, or Ram of your dreams, then let our trade-in tool assist you. The value your trade tool will help determine how much can be saved on the new car, truck, or SUV you wish to purchase. 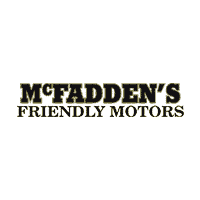 Applying for financing doesn’t have to be difficult at McFadden’s Friendly Motors! Simply complete our online form and you’re one step further to getting behind the wheel of your Chrysler, Dodge, Jeep, or Ram vehicle. If you’re on a budget and need the best possible financing or leasing deal on your Chrysler, Dodge, Jeep, or Ram, McFadden’s Friendly Motors is here to help .We have multiple finance specials and lease specials that won’t break the budget.